How is it even remotely possible that a car manufacturer I’ve never heard of exists in my own state? Especially since they promise to bring mid-engine, rear drive performance to the masses, all with a focus on fuel efficiency and affordability. Think of a Toyota MR2 Turbo mated to a Toyota Prius, and you get the picture; unfortunately, that’s the only picture we have to date (except for the cloaked image above). Rivian Automotive, it seems, has spent the last few months fending off legal action from Hyundai, who was concerned that the Avera name was too close to Hyundai’s Azera. Not that buyers would likely confuse a fuel-efficient, American built sports car with a luxury sedan from Korea, but experience tells me it’s best to keep lawyers busy. That way, they have less time to protect us from ourselves. So now that we know Rivian Automotive, what doe we know about them? The answer is not much, but they’ve made some big promises. First, they claim that their vehicle will be fun behind the wheel, with a mid-engine, rear-drive layout, lightweight space frame and double wishbone suspension. They claim their vehicle “won’t break the bank”, but they stop short of defining a price bracket. Using race car architecture, they say their vehicles will provide “industry leading safety”, and even display a yet-to-be earned five star rating. Finally, they bill themselves as a green company, without even telling us how the car will be built or what will power it. In fact, the only reference to the drive system is the vaguely ambiguous statement, “Rivian Automotive’s lightweight and aerodynamic platform enables fuel economy well beyond today’s best hybrids. That’s a bold statement to make unless you’re certain you can back it up. If it seems like I’m being overly harsh on Rivian Automotive, it’s only because I want them to succeed. Scratch that, I need them to succeed, since they have the potential of single-handedly saving employment on Florida’s Space Coast. I’d much rather see former NASA engineers building a new and remarkable automotive platform than working at Denny’s or Home Depot (your two best employment options in Florida). If I’m skeptical, it’s only because experience tells me that anything that sounds too good to be true usually is. God, I hope I’m wrong about Rivian Automotive. 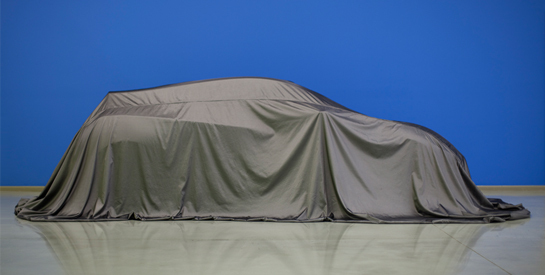 Avera Motors, a relative newcomer in the automotive field, has released a teaser of their first operational prototype. The company has been keeping things under wraps for quite some time now, which has heightened the curiosity regarding this prototype. The only details that were known earlier was that engineers who had worked on such vehicles as the Ford GT, the Dodge Viper and the Koenigsegg CCX were on the team that was assembling it. Avera had announced that the aim was to build a new version of an efficient automobile. The latest details give us a bit more information – the vehicle is most probably going to be a rear wheel drive hatch that will be powered by a direct-injection, turbocharged gasoline engine. Sources say that it is Avera’s hope that this one will outdo every other hybrid in the market –especially on factors like fuel efficiency and having the least amount of weight. The weight factor has been immensely helped by the aluminum space frame on the vehicle that reduces weight and reduces cost simultaneously. Expected to cost around $25,000, Avera has reportedly been focusing on lean manufacturing to maximize value and keep waste at a minimum. The conventional manufacturing facility had been redesigned in accordance with the requirements of the company, which helped to keep initial investments low. Avera was focused right from the start to create a high-quality, low cost vehicle. Avera says a new website will be up soon to promote the prototype, and that the pre-production will be up by 2012, with full-scale production on by 2013. Copyright 2010 100 Hot Cars.